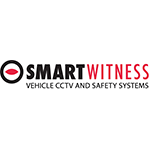 SmartWitness is a world leading designer, manufacturer, and supplier of vehicle cameras, recorders, and software.With roots dating back to 2007, SmartWitness has launched 5 generations of products and has installed into over 250,000 vehicles worldwide. The company's lineup of network connected products and accompanying REST API have allowed SmartWitness video and data to be seamlessly integrated with Wialon GPS tracking and fleet management software, ushering in the new era of Video Telematics. The chart below shows the changes within the last 30 days in the number units of SmartWitness devices type are connected to Wialon Data Center.